Always on the cutting edge in the field of snow skiing movies, Warren Miller does it again with his award-winning Warren Miller's Truth About Skiing, which features an innovative and controversial program for learning to ski. Miller's system teaches skiers how to improve their abilities more quickly than with traditional methods through the use of a holistic mental approach. Skiers are taught to rely more on instincts and attitudes than on rules and rhetoric. Two audio cassettes and manual are included in some sales packages. 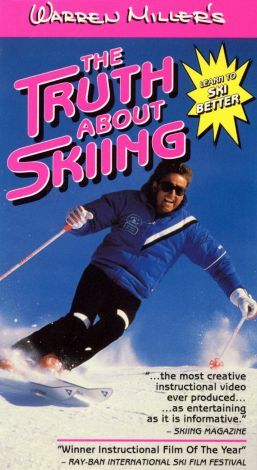 Although Miller grew up in Southern California as a surfer, he has traveled the world for over 50 years making and narrating acclaimed films about snow skiing.